Learn the beautiful art of Tabla-playing in small group classes, not exceeding 6 students. Admission is open throughout the year to all ages and levels, and individual attention is given to each student. Students will learn basic-to-advanced techniques and compositions, as well as essential information to put them into the context of history and theory of Indian Classical Music. Learn the beautiful art of Indian singing with Sanghamitra Chatterjee. This is a private class (one-on-one). Classes are scheduled at the mutual convenience of the Guru and the student. Students receive voice training with basic exercises, instructions on the classical elements of Raga and Tala and learn songs of different types such as bhajan, kirtan, geet, selective film songs, ghazal, regional songs, Tagore songs (Rabindra Sangeet), Nazrulgeeti, Atulprader gaan, folk songs, modern songs, etc. Classes are open to all and there are no pre-requisites. 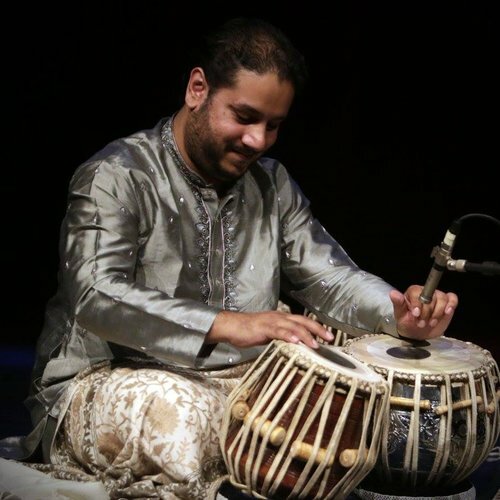 Learn the beautiful art of playing Tabla with Dibyaraka Chatterjee This is a private class (one-on-one). Classes are scheduled at the mutual convenience of the Guru and the student. Students learn technique, intonation, simple to advanced compositions in various talas (rhythm cycles) and layas (tempi). Each class is one hour long.